This machine is in perfect working order and producing very good copies and prints! 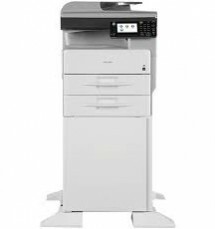 Ricoh’s technology paved the way for office automation. This resulted to an increase in productivity in the workplace. Today the brand still provides innovative hardware, software, consultancy and document services. They provide the tools that a company needs to achieve its goals. 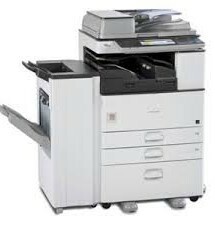 The brand’s photocopiers are one of the top choices of many companies. 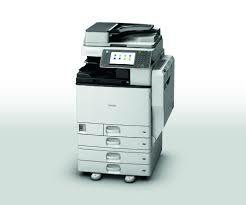 To keep up with the demand of the modern world, Ricoh is now producing multifunctional printers. 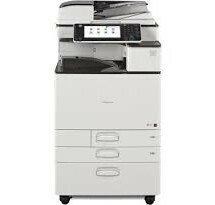 These devices can copy, print, scan and fax. There is a wide range of models available so all types of companies can surely find the perfect machine. These machines streamline daily office processes. They are also packed with security features and are made using environment-friendly materials. This machine is compact so you can save premium office space. It has enhanced controller specs. It can print 33 pages per minute. It is network-ready.